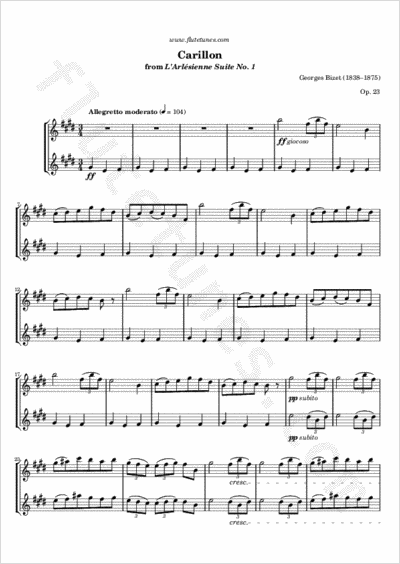 This is the fourth and last piece from the first of the two suites taken from the incidental music that Georges Bizet composed for Daudet's theatrical play L'Arlésienne. this “Carillon” features a repeating bell-tone pattern on the horns, mimicking a peal of church bells. It is interesting to observe that the central Andantino is an actual flute duet in the original arrangement. Thanks to Leah for suggesting this piece!